Refrigerators make many sounds we might expect, such as water dripping, the fan turning on or off or the motor operating. However, other sounds are a little more unexpected, such as a knocking sound. While the reason for the knocking sound may be as simple as the refrigerator vibrating against a wall, the sound may also have other sources that you'll need to investigate. A faulty compressor is the primary cause for a knocking sound. 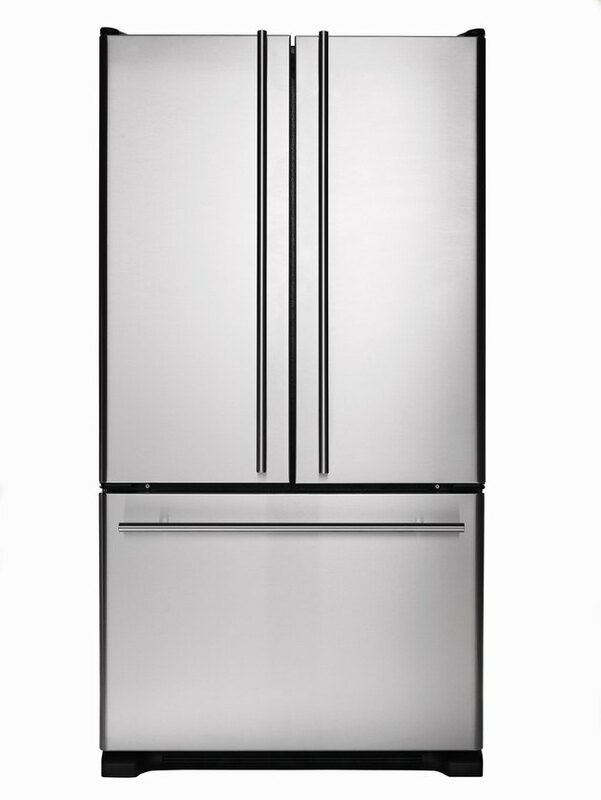 One basic reason that a refrigerator might make a repeated knocking or vibrating sound is the movement of the refrigerator against surrounding surfaces, such as a wall. To resolve this problem, pull the refrigerator out so that there are a few inches of space between the refrigerator and any other surfaces. Another primary source of a knocking sound is the compressor, which may knock when it is starting up or shutting down. This is most common in older model refrigerators. The compressor is located behind the back panel on the unit and should not be accessed by most homeowners. Contact a professional for service if you suspect the compressor is to blame for the noise, as the compressor may need to be cleaned, repaired or replaced. While the most likely reason for a refrigerator to make a knocking sound is the compressor, the condenser fan might also make noise. This may occur if the fan becomes clogged with lint, which reduces air flow and makes a clicking, knocking or whistling sound. Disconnect power to the refrigerator and remove the thin panel on the rear of the refrigerator. Use a soft brush to clean the fan and then replace the cover plate. The condenser may get covered with dirt or lint. When this happens, the condenser can make a noise when operating and cause reduced cooling in the refrigerator. The coils are a set of black devices, usually located in the back next to the condenser fan. You can clean the condenser with the soft brush when cleaning the condenser fan and then remove the front grill and finish cleaning the condenser from underneath the refrigerator.